Alexandria Holiday Apartment is a two bedroom traditional terrace apartment centrally located in Dunoon. 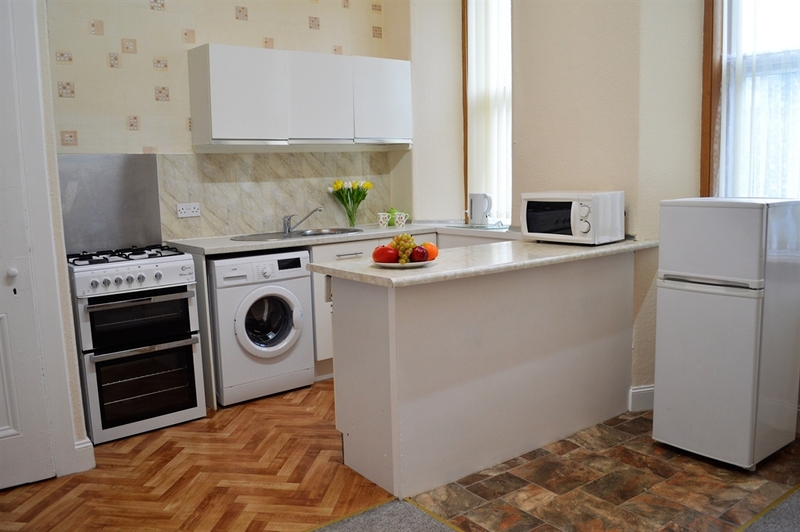 Located on the ground floor the apartment is spacious and comfortable with all your home comforts, perfect for families travelling on a limited budget. Pet friendly. 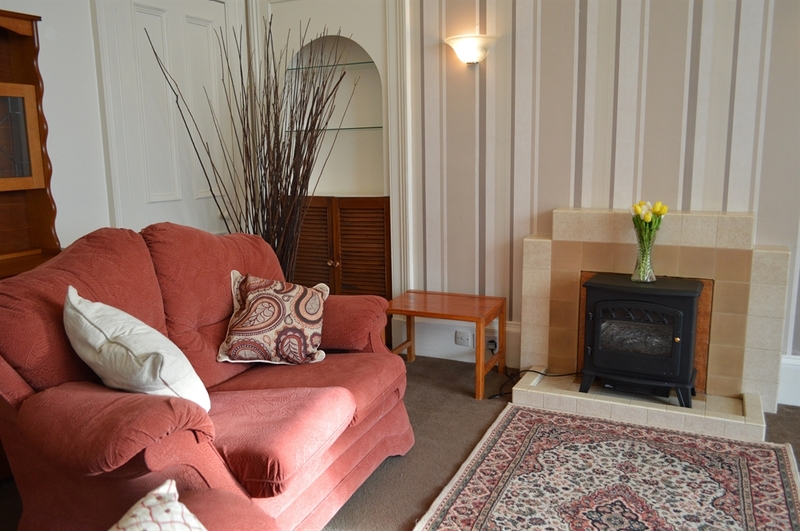 Located in the residential area of Dunoon only minutes walking to the town centre, and only 100 metres from Dunoon's main tourist pebble beach on the West Bay. The spacious living room features comfortable seating with central heating for additional cosiness complete with flat screen TV and free Wi-Fi. The open plan kitchen is well equipped with a dining area seating up to five comfortably. There are two bedrooms both well furnished, a spacious family bedroom with a double and foldout bed, and a twin bedroom ideal for children. The spacious family bathroom has an overhead shower over the bath complete with toilet. Outside there is a communal rear garden for children to safely play. There is ample free street parking adjacent to the apartment. Dogs are welcome. Maximum two. Fees apply. Alexandria Apartment is a perfect base for families to explore this spectacular region. Take long walks along the West Bay for views over the Clyde Estuary and to catch a glimpse of the local wildlife from herons, swans and even dolphins.